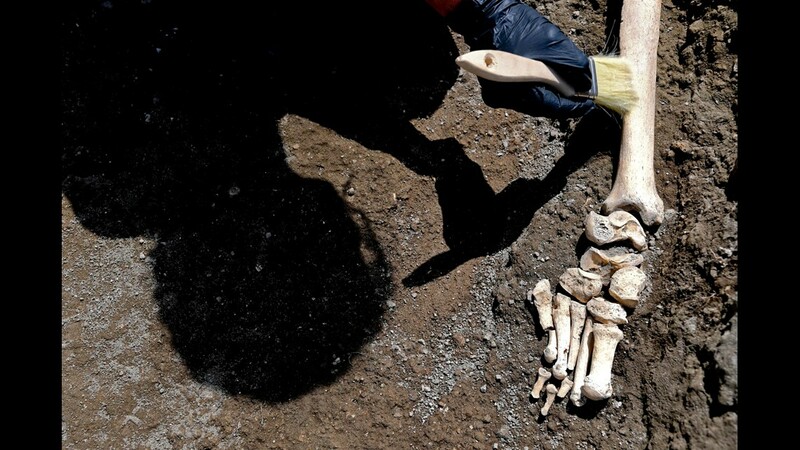 Anthropologist Valeria Amoretti works with a brush on a skeleton of a victim of the eruption of Mt. Vesuvius in A.D. 79. The legs of a skeleton emerge from the ground beneath a large rock believed to have crushed the victim's bust during the eruption of Mt. Vesuvius in A.D. 79, which destroyed the ancient town of Pompeii, at Pompeii's archeological site, near Naples, on May 29. The skeleton was found during recent excavations and is believed to be of a 35-year-old man with a limp who was hit by a pyroclastic cloud during the eruption. Archaeologists working at the ancient Roman city of Pompeii, Italy, are calling this a historic discovery. Anthropologist Valeria Amoretti works with a brush on a skeleton of a victim of the eruption of Mt. Vesuvius in A.D. 79, which destroyed the ancient town of Pompeii, at Pompeii' archeological site, near Naples, on May 29. 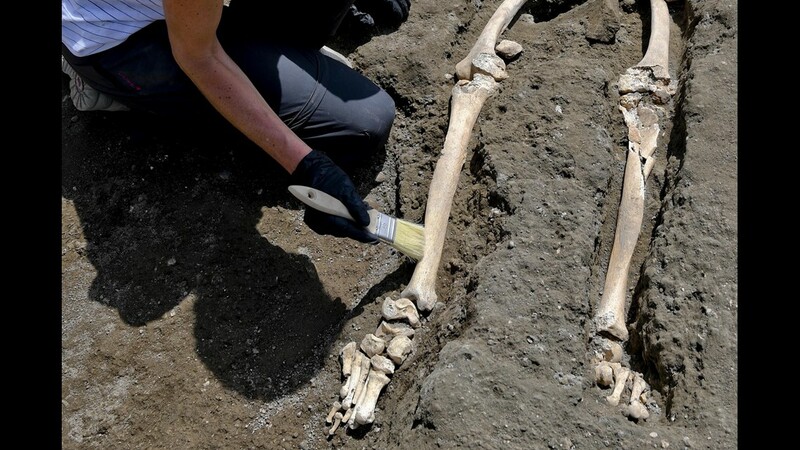 Anthropologist Valeria Amoretti next to the skeleton of a victim of the eruption that destroyed Pompeii, discovered during the most recent excavations carried out on the archaeological site in Pompei, Italy, May 29. 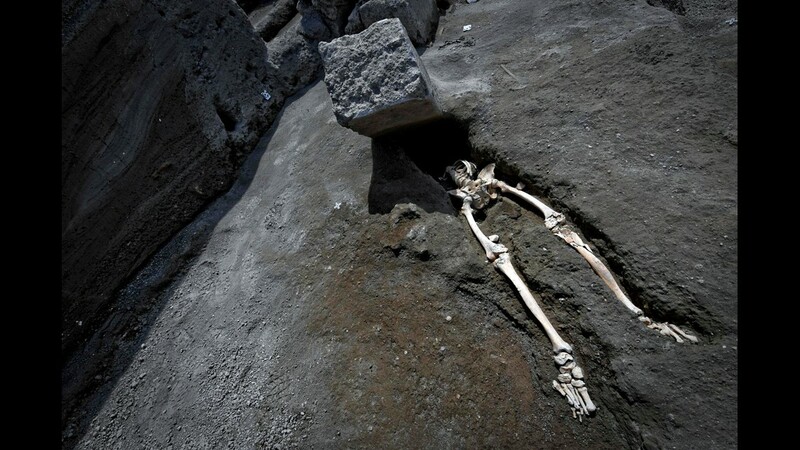 These are the remains of a 35-year-old man, limping, hit by a pyroclastic cloud while, forced to linger by his physical disability, he turned to look at Vesuvius.